This C.P. 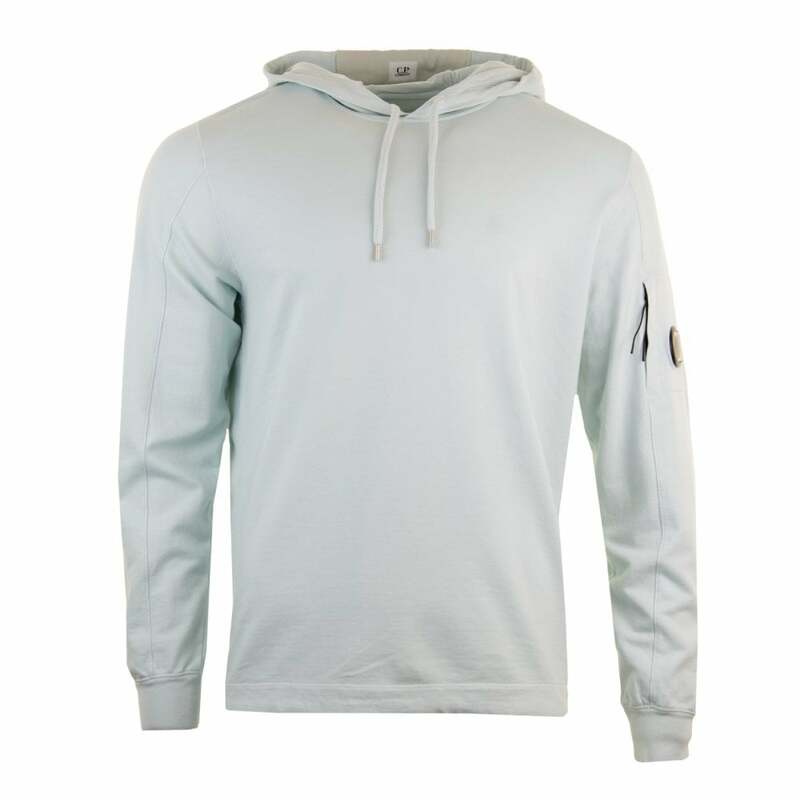 Company Lightweight Hooded Sweatshirt is 100% cotton and is mint in colour. It is hooded with a drawstring and has long sleeves. A C.P. Company branded goggle lens appears on azip pocket on the left sleeve.